Gold Class Hair is delighted to announce a partnership with Hari’s Salon in Parson’s Green. With four salons across London and an array of celebrity, VIP’s and model clients, Hari’s has become renowned as the most stylish salon brands in the capital. And now the hottest salon group in London’s hair scene will be offering its clients the very best in natural looking, healthy, hair extensions: Gold Class. Founder of the successful salon group, Hari Salem, opened his first salon in the 1970’s, after becoming one of London’s top hair stylists. Having made a niche for himself for treating the tresses of top models including Twiggy and Jean Shrimpton, Hari decided to launch his first, now flagship salon, in the Brompton Road. 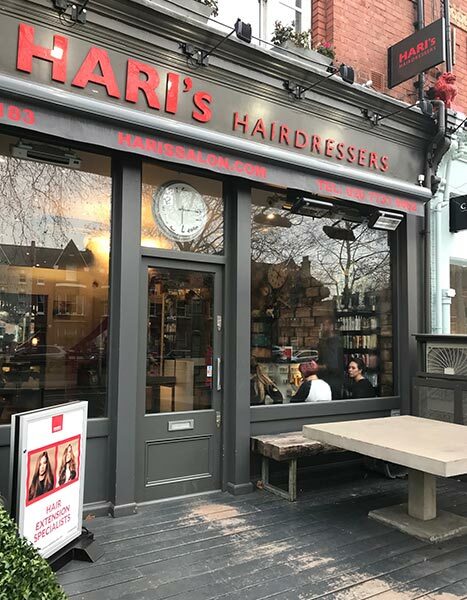 Today Hari’s has four London salons in Fulham Road, Kings Road, Parsons Green and Notting Hill. Hari’s Parson’s Green has an expert team of specialist hairdressers who have trained specifically in either colour or cutting and styling. Each hairdresser focuses on either colour or cutting/styling to ensure they are experts in their chosen craft. The styling team will now be offering clients looking for extra length, volume or thickness, Gold Class hair extensions. “We are extremely proud of the Gold Class network of elite salons and our range of extensions which continue to be the most popular and trusted extensions chosen by our clients and hairdressers around the world” – Inanch Emir, Founder, Gold Class Hair. One of the salon’s most popular stylists, Andrew, will become the Gold Class extension specialist, teaching his team how to develop new ideas and create new styles with extensions. Andrew is an award-winning hairdresser, specialises in tailoring colour for clients; giving him a keen eye on creating a bespoke blend for perfectly seamless hair extensions. 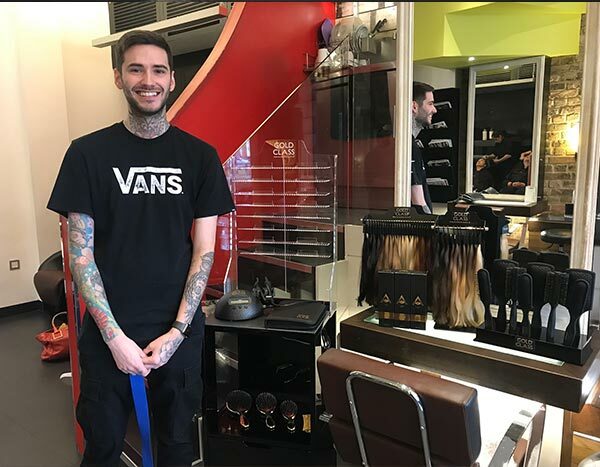 He was recently named Hairdressers Journal Extension Specialist of the Year, has admired Gold Class extensions for many years and is excited to have Gold Class become the main brand of extensions available and recommended at the Parson Green salon. We are extremely excited to follow Hari’s journey using Gold Class and see how their talented team use our extensions to create fresh, bold and fashionable looks for women all over the city.